This is the story of how I was able to turn my passion into a successful ebusiness. It starts with my history of business failures, followed by the discovery of Site Build It (which I review below) and concludes with the joy of doing what I love by helping others- all while making money! The Kindle Fire pictured above is the entry I submitted to the "My SBI! 6 Words, 1 Photo Contest". Not only do these six words, "Visualized Future. Discovered SBI. Living It! ", simply describe my successful journey, but my entry was the Grand Prize Winner! I was so surprised and ecstatic! 2017 Update: Site Build It has changed its name to Solo Build It to more fully clarify what this company is all about. A History of Business Failures! Most success stories have a history of failures and mine is no exception. Having a strong desire to own my own business, and being the techie girl that I am, I thought I'd join the pack of Internet businesses and earn me some quick, easy, green money. Although the website I created had a little success, it was never anything big. Mostly I made enough money to support the site along with a tiny bit of spending cash. Eventually, I lost interest and gave up. Well, if I couldn't make it the easy way, maybe I needed to try it the hard way. My next endeavor involved starting my very own school book fair business. I took a bunch of classes, attended a book show, created a website, and did a ton of other business related stuff. I was really excited about this business, but unfortunately, I gave up when I discovered the local competition was far greater than I'd first realized. Not only did I feel like a complete failure, but I let go of the dream of owning my own business. I sometimes wonder if that book fair business would have been successful if I'd stuck with it. However, the risk was greater than I was willing to take; the start-up costs for inventory, equipment, etc. were just too huge and the potential income was just too small! Years passed while my dream of owning my own business was swept under the rug, suffocating in the dust. 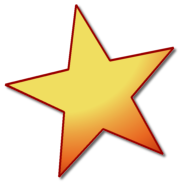 For 10 years I worked for one of the top 100 websites in the world (listed on Alexa.com) where I improved my ability to write, edit, and create a variety of unique content, images, and other online resources. I also learned invaluable tools like Search Engine Optimization and the importance of key word placement. For the first few years I loved the work I did, but over time I struggled with the owner's changing requirements which stifled my creative juices. Eventually I no longer loved what I did and work became a drudgery once more. During my search I stumbled across a website that talked about a company called Site Build It! (SBI!). I couldn't quite grasp what they were trying to explain, so I directly went to SBI! 's Website to check it out for myself. What I learned resulted in an explosion of emotions. Could SBI! really teach me how to create a SUCCESSFUL (aka PROFITABLE) website? Would they really show me everything I needed to know, provide all the tools, resources, forum, and support to help me succeed? Could I really OWN my own business? For less than $1 a day? It sounded too good to be true! Except... as I read through their entire website, I instinctively knew that this was what I had been searching for all these years. I realized that Site Build It! had the missing pieces to the puzzle I'd been attempting to put together on my own! My previous website experience had given me most of the pieces, but SBI! had the rest- the MONEY MAKING PUZZLE PIECES. A few weeks later I took the plunge and signed up. That was the beginning of my new career as the owner of my own business at Love My Fire. Awhile ago I entered Site Build It's "I Love SBI!, Too" Video Contest where I shared, in 60 seconds, why I love Site Build It. 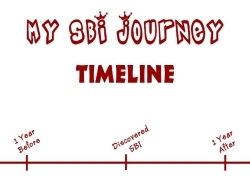 "My SBI Journey" video entry shows how my journey actually began one year before I discovered SBI! and concludes with my site's success exactly one year later. Because I created this website all about Amazon's Kindle Fire people often ask me if I work for Amazon. Although, I am an affiliate of Amazon (which is fully disclosed on my Disclosure Page) I created this website because I am PASSIONATE about the Kindle Fire. You can see my passion in My Kindle Fire Story and in the History of Love My Fire but it's mostly evident throughout all my articles on this site. I love my Kindle Fire and love sharing all I learn and discover with others. A huge part of the reason why my other personal website endeavors weren't successful was that I wasn't passionate about topics of the sites I ran. It's really tricky to build a successful website without passion, so finding and writing about what you love is extremely important. Site Build It! is not a "Get Rich Quick Scheme". Building an eBusiness takes lots of time and effort, just like any real business, but SBI! shows you HOW and gives you the TOOLS to do it. SBI! 's mascot, Shelly, is a tortoise, who shows us that "Slow and Steady Wins the Race" just like the classic tale of the Tortoise and the Hare. DISCLOSURE: My links to SBI are affiliate links. However, I don't care if you use them or not. If you'd rather visit these links without the affiliate code, just copy the link URL (right click or tap and hold and hit copy), paste in the address bar of your browser, and delete "Rachel87.html". Here's a link to Site Build It's home page without the affiliate code. Site Build It Review: Are You Interested in Starting Your Own Website Business? If you're like me and have that entrepreneurial bug and have something passionate you'd love to write about, but just don't know where to start (or how to actually be successful) then Site Build It! is the place to go! Risk Free Trial & 90 Day Money Back Guarantee! I love SBI! and am almost as passionate about this topic as I am about my own website. :) I love sharing with others my experience and all that I've learned and gained from SBI! If you ever decide to join SBI, please contact me (or post in the comments below) and let me know. 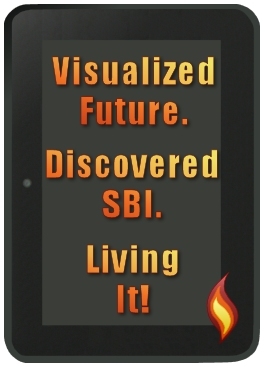 If you don't know what you'd like to write about, SBI! can help you brainstorm your passions to find the right niche for you. All you need is a niche topic you love that has high demand (lots of people searching for it) with low supply (not enough online content about it) and SBI! shows you how to figure all that out... it's super easy, no tech experience required. Over the years my website and I have been honored to be featured in a variety of media including interviews, podcasts, social sites, blogs, and videos! July 2012: SiteSell Facebook Featured Fan - Even more nitty-gritty details about my SBI! journey. Feb 2015: SBI's five blog series, "Do What You Love, Love What You Do." An interview where I answer some wonderful online business-building questions. April 2015: Video, "A Kindle Drives a Business- Being an Entreprenuer #3." SBI took the previous interview and turned into a quick video full of fun photos I shared. I've always had an entrepreneurial spirit, even when I was in grade school! I wanted to open up a little shop where I planned to sell cheap nick-knacks from the Oriental Trading catalog (pre-Internet days). Selling a gross (144 pieces) of little sun glasses pins for .25 cents a pop would have equaled $36! Too bad my folks nixed that idea- I could have been rich! Later, I learned that I came by this entrepreneurial inclination naturally. When my grandfather was a boy, he would buy a chocolate candy bar for .05 cents (wow, I can't imagine the prices back then! ), he'd break it into six pieces, sell five pieces of chocolate for a penny each, and eat the sixth one himself. Not only did this mean he would get a free piece of chocolate but he'd have his five cents back so he could go and buy a whole new candy bar and do it all over again! 2017 Update: If you search for Solo Build It reviews online you might find a few negative reviews which were paid for by a company called Wealthy Affiliates. Unfortunately, these reviews are fake and unfounded. Wealth Affiliates is trying to build itself up by breaking down their competition, however, Solo Build It! is the real deal! I've been using their services since I first found them in 2012 and am happily still with them. SBI's value is far greater to me than the money I use for all their amazing services. My new Co-Author, Olga, also uses SBI, it's actually where we met! SBI! has TONS of proof and testimonials from us, their happy customers, while Wealthy Affiliates does not. So please be careful if you find negative reviews about SBI, they may be bought and paid for from this unscrupulous company. I ♥ Solo Build It!